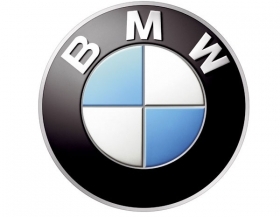 BMW has reached its goal of reducing spending on components by 4 billion euros ($5.5 billion) well ahead of its 2012 deadline, purchasing boss Herbert Diess told Automotive News Europe. "We have completed our materials cost-reduction program more than one year earlier than expected. We have saved more than 4 billion euros since 2007 and therefore we have reached our goal to be at a competitive cost level with our material costs. Now we want to concentrate on innovation and quality," said Diess, the BMW management board member responsible for the cuts. This announcement is especially important for the company's suppliers, which complained that BMW was putting too much pressure on cost-cutting. Added Diess: "Our strategy is quite simple. We do not differentiate our product from the competition by the cheapest part, but by the best and most innovative. Already today we employ more quality engineers than purchasers. And we have a quality that is at a historically good level. Our warranty costs sunk further in 2010," Diess said without giving detailed figures. The executive said BMW's purchasing volume will rise. "Last year, our purchasing volume was about 28 billion euros. This will grow further. We want to increase our sales to more than 2 million cars by 2020 so the purchasing volume will grow proportionally to our sales." BMW sold 1.46 million BMW, Mini and Roll-Royce brand vehicles in 2010 and aims to sell more than 1.5 million units this year. North America and Asia will benefit from the growing purchasing budget. "We have made a fivefold increased in our purchasing in Asia since 2009. About 75 percent of this is from China. The share of purchasing from Asia within our global purchasing volume will increase substantially in the next few years."